Here at Mccarthy's personal training we focus on the client centred approach. Each program is individualized to the clients need and capabilities. 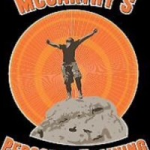 At McCarthy’s personal training we educate everyone, regardless of limitations on how to meet their fitness goal or just live a healthier life. Through educating the public and offering assistants to those in need we will individualize programs to suit everyone’s daily needs. Services Ready to enjoy better health, higher energy levels, and physical wellness? Our programs are proven to help people of all ages, sizes, and fitness levels to attain well-being, strength, and relaxation. These Programs are individualized and are proven to tone, shed, and benefit body composistion. We also offer sports specific programs designed for the elite athletes that want to increase their performance.